Giulio is an intern on the ‘Turning Over a New Leaf’ project, and a recent graduate of the Book and Digital Media Studies MA program at the University of Leiden. It has been a year now since I first fell in love with medieval manuscripts after attending Erik Kwakkel and Jenny Weston’s manuscript course at Leiden University. Thanks to them a whole new world has now opened to me—one filled with scribes, scripts and parchment. Over the past six months I have also worked for Erik Kwakkel as an intern, helping to develop a new website devoted to the medieval manuscript. Throughout this time, I have enjoyed many fabulous afternoons browsing through the manuscripts preserved in the Leiden University Special Collections, discovering fascinating new details about medieval books every day. Of all the individual components that make up a manuscript, I have found ‘scribal colophons’ to be some of the most fun and interesting features to explore. 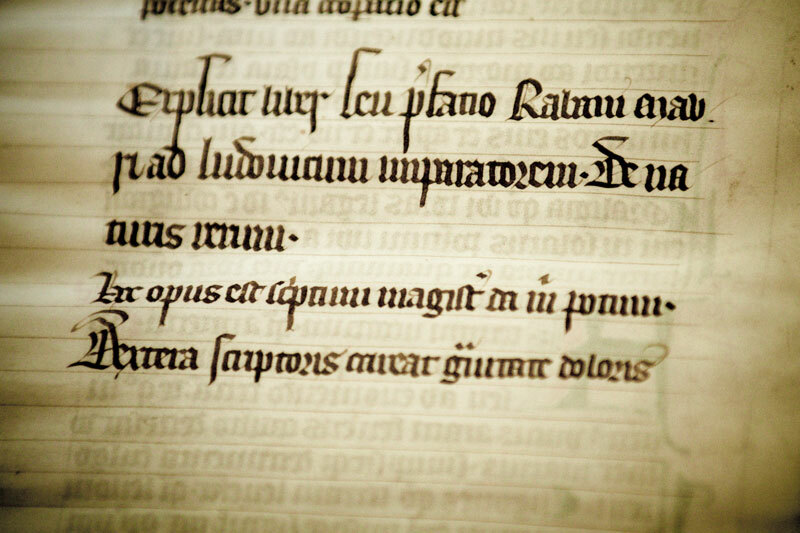 A colophon is typically a brief annotation left by a scribe at the beginning or end of a manuscript. Although they are rare, they provide a unique glimpse into the circumstances of the copyist. These annotations can have a wide range of content, such as the name of the scribe, where and when the manuscript was copied, or the price of the finished product. In some cases, the scribe might add more personal details, such as prayers (to forgive the mistakes he has made while copying), book curses (warding off potential thieves), or the invocation of saints for protection. It is relatively unusual to find colophons in early medieval manuscripts, but they gradually become more frequent in the later Middle Ages, particularly when commercial book production flourished (and when some commercial scribes wished to advertise their names and work). Exploring the manuscript collection of Leiden University I stumbled across several interesting colophons, but there is one that struck my attention and that will stay in my heart for a while. It can be found in VLF 5, f. 172v, a manuscript from the late fourteenth century. [This work is written master give me a drink; let the right hand of the scribe be free from the oppressiveness of pain].